At the edge of the picturesque port of Ios, this is a family-run, traditionally-built guest house, only 50 metres from the sandy Yialos beach and 800 metres from the village. Trying to combine tradition with modern facilities for our visitors, we are certain that in Villa Mata you will find top quality and customer service. 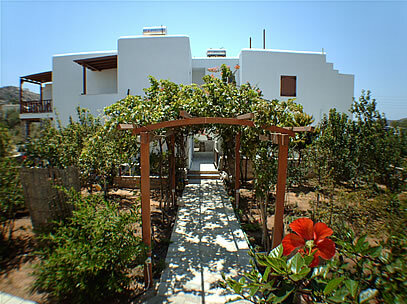 In Villa Mata, every room combines traditional Aegean structure and modern facilities. 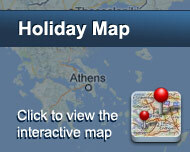 Εnjoy your stay here by choosing a room with wooden or built beds. Fully renovated in 2006, the complex, consisting of 2 separate buildings, is surrounded by a beautiful garden where you can enjoy many relaxing and fun barbecue nights. Frequent buses and taxi services will give you easy access to and from the village of Ios and the other beaches of our magical island. Είστε ιδιοκτήτης ή διευθυντής στο Villa Mata; Εγγραφείτε τώρα για δωρεάν εργαλεία, που μπορείτε να χρησιμοποιήσετε για να βελτιώσετε την καταχώρησή σας και να συνδέσετε την ιστοσελίδα σας και το σύστημα κρατήσεών σας.